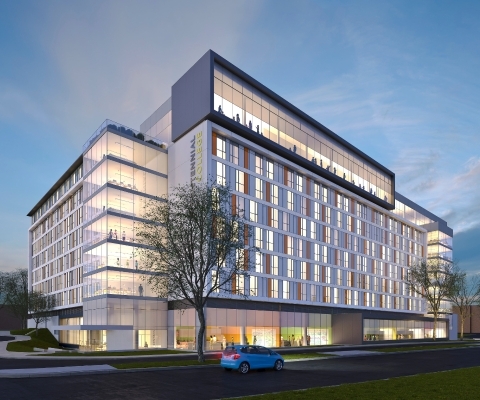 The Latest News from Spring Air Systems Inc.
Centennial College has started on construction of a new $85 Million LEED Certified Residence and Culinary Arts Centre on their Progress Campus located in Toronto, Ontario. Spring Air is proud to be part of such a well-designed and environmentally focused project. The Facility will be LEED Gold certified and will focus on sustainable “green” practices, with a specific attention paid to how they can be applied within the hospitality industry. OK – so maybe we haven’t really done any heavy lifting on this one, or the market research that could potentially go into changing something that’s been around for almost three decades. That said, we’re more than happy to show our support for the local boys in blue. After last night’s nail-biter of a game we’ve officially let our Blue Jays fever spill over into contagion. We’ve traded our energy saving green for a pretty hue of baseball blue. TruFlow is Awarded the 2015 Energy Star Emerging Technology Award! Energy Savings are always been a priority when Spring Air Systems is bringing new products to market; so we’re excited to share some big news. After reviewing the technology behind our latest Generation of TruFlow demand control technology, the United States Environmental Protection Agency has named us as a recipient of the 2015 ENERGY STAR Emerging Technology Award for Demand Control Kitchen Ventilation Systems. Prepared foods are rising stars when it comes to growing revenues at grocery stores and markets. However, those who are unaccustomed to operating a commercial kitchen need to keep energy costs in mind when designing and installing equipment. A recent article by Michelle Jamrisko from Bloomberg.com shows that for the first time ever, Americans are spending more at Restaurants and Bars than thay are at Grocery Stores. 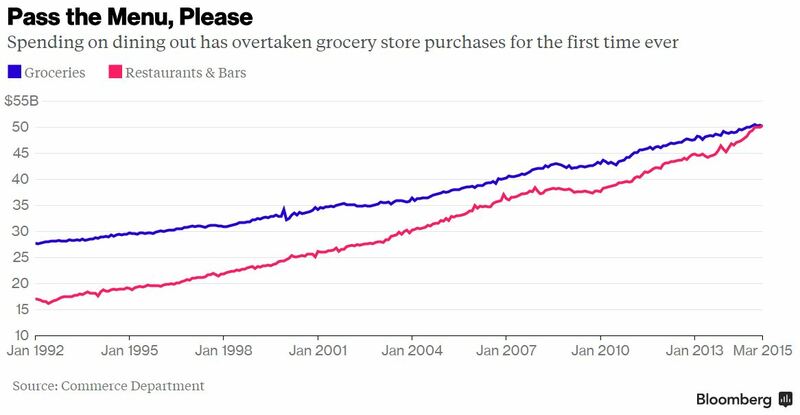 The data, which goes back more than 20 years, shows a steady but sharpening trend amongsth consumers. How does this news impact your outlook on the industry? 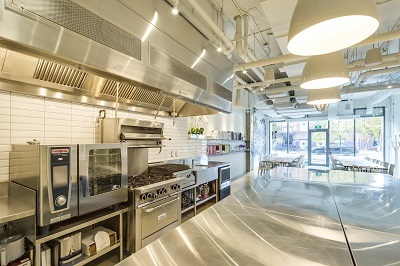 Show Case kitchens allow chefs and their staff to demonstrate the skill, technique, and effort that go into the meals their guests enjoy. 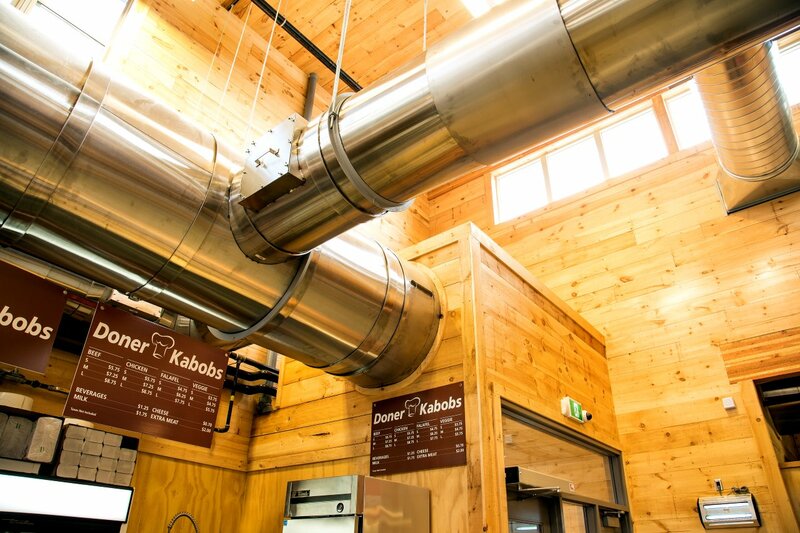 They also present unique challenges for kitchen ventilation systems due to the more dynamic environment and need for an aesthetically pleasing presentation. Read on to see how Spring Air Systems helped to bring chef and owner Alanna Fleischer’s vision into reality. A New Look for Spring Air Systems! We’re excited to share with you the new Spring Air Systems website. It’s a dramatic change from the previous webpage, which had been the public face of the company for over a decade.